Mysterious worldwide organization the Freemasons celebrates its major 300-year anniversary this year. As the anniversary year closes, Sputnik spoke with Peter Doderer, the vice chairman of the German branch of the organization. Freemasonry was established on June 24, 1717, when a group of masons created the Grand Lodge of London. The masons did not belong to any guild and could work freely across Europe; their main occupation was the building of cathedrals. It was during this initial period that their trademark symbol, the square and compass, was developed. Today, the movement is believed to include some 2.6 to 5 million members all around the world, 15,000 of whom are believed to live in Germany, among them Doderer, vice chairman of the German branch of Freemasonry responsible for public relations. Sputnik asked him how the famously secretive organization approaches PR. "This is our problem," Doderer said. 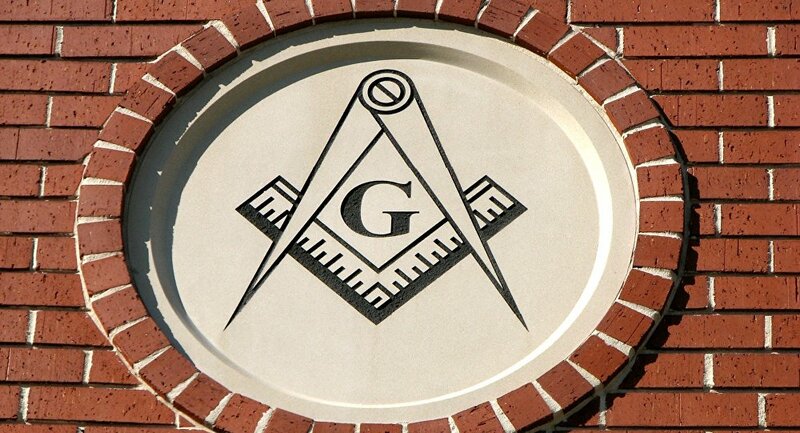 "The Masons were not created for publicity." "Freemasonry is a child of the Era of Enlightenment. At that time, it was reasonable practice not to spread your views about certain things around and concentrate them in a narrow inner circle instead. Spreading of such revolutionary ideas as freedom, equality and ending serfdom was not welcomed by either the Church or the rulers," he explained. "I don't call it ‘keeping secrets,' but rather ‘non-leaking restraint,'" he said. Initially, the members of the nobility and the Third Estate (the citizens) increased the Freemansons' ranks, Doderer says. They were followed by artists, notably Mozart and Goethe. "Allegiance to this circle was a sign of exclusivity," Doderer notes. "The people who were in this circle probably felt pretty good in this darkness [of secrecy]," he says. The poet Gotthold Ephraim Lessing described Masons' meetings as "thinking aloud together with a friend." Thoughts are known to be free — but to be free inside, one should keep quiet outside, he explains. This is why there is a rule even today, Doderer explains, that a Freemason can only disclose his own membership, not membership of others. There are three other things that remain secret today: the sign, the word and the handshake that identify Masons to one another. "We are talking about a special sign, a password and a special handshake grip known only to the members of the society that serve as an identification mark. Even today the masons would not be pleased if these things were to become known to the public," he told Sputnik. Doderer himself became a Mason through coincidence: He discovered the Anna Amalia lodge, of which Goethe was a member, during research. "I read Goethe's correspondence with the other members and thought: ‘It's so awesome! To belong to a society whose members want to change despite being adults,'" he recalled. One cannot become a Mason overnight, though. It took three years of guest membership before Doderer asked to be taken into the society. "The attendees votes with black and white balls. If there's too many black balls, acceptance is postponed for one year. The candidate will have another try the next year." Doderer has been a Freemason for 20 years now. "If there's one thing being a Freemason taught me it is that you can't learn how to be a Mason. It's in your genes." He describes things that happen at Masons' meetings as "exciting." "When a man that refuses army service sits next to you and a general who commands an army corps does too, it's interesting. And this mere thing that these two can have a discussion and spiritually are equal — that makes a spectacular sight." The Masons want their members to become better men. Doderer calls it a school of life and quotes French philosopher Voltaire: "Even if I don't share your opinion, I will always fight for your right to express it freely." The Freemasons have long provided pensions for their deceased colleagues' families. They also support charities. The only question that remains is: why, after 300 years, is Freemasonry still so secretive? Who is NSA Whistleblower Bill Binney, Dragged By MSM as ‘Conspiracy Theorist’?